Most NFL pundits will tell you Tom Brady is the GOAT (greatest of all time), and that the New England Patriots quarterback's recent Super Bowl titles helped him wrest that title from his boyhood idol, Joe Montana. But Montana has a different take on the "GOAT" debate. 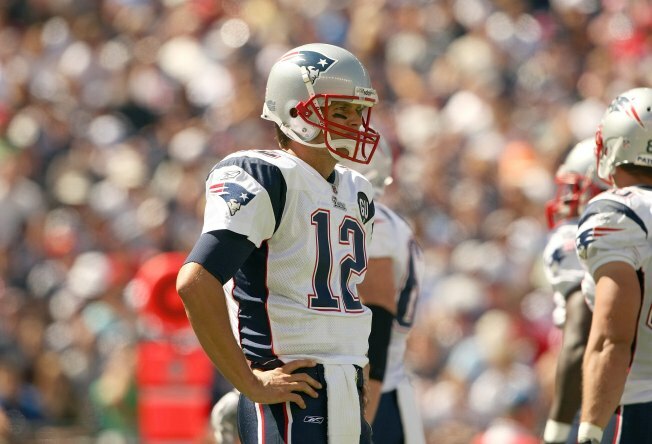 Speaking Monday on Bleacher Report's "Stick to Football" podcast, the former San Francisco 49ers quarterback explained why he's hesitant to label Brady (or anybody, for that matter) the greatest ever. "Eh, everybody wants that title, I think. I think it's really hard to give anyone that title," Montana said. "Tom obviously has had a tremendous career and I have a lot of respect for what he's done and all he's accomplished. Everybody tried to compare us and there's just no comparison. "The way I look at it, I mean, if you go back and try to compare when I played to guys who played long before me -- if you look at Otto Graham and Sammy Baugh, those guys were way ahead of their time in what they were able to accomplish. "You can hardly find film on them, but the game is forever changing and I just say, 'Enjoy everyone for what it's worth.' I'm just happy to be in the conversation. But obviously Tom is just putting up stupid numbers, so it's going to be hard for anybody to catch him, I think." Montana raises a fair point: It's hard to compare players who played in different eras under different rules. Montana likely would have put up gaudier numbers in today's pass-happy NFL, while Brady may not have been as prolific a passer had he played in the 1970s or '80s. You could argue Brady's five Super Bowl rings (Montana only has four) and numerous records put him above Montana anyway. But you might have to take that argument up with Cool Joe himself.